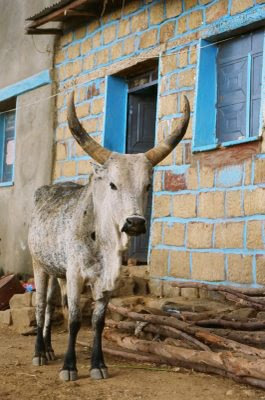 This week I take a break from New York City to share with you some images from my recent trip to Ethiopia. I knew very little about this East African country before my trip. So I was interested to discover that a strong sense of geometric pattern adorns everything from scarves and textiles to ceramics, furniture and architecture. 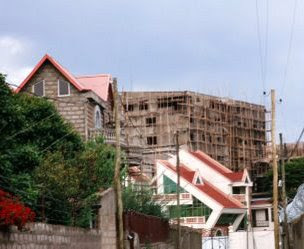 From the dusty, noisy capital, Addis Ababa, I travelled north to the highlands, which is home to hundreds of ancient churches carved out of giant rocks and into dark caves. Along the way, I took lots of photos of brightly painted mud houses. 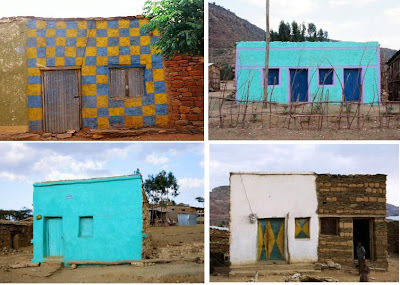 These houses were dotted alongside the roads in the province of Tigray, a rocky, dry expanse punctuated by outlandish mountains. 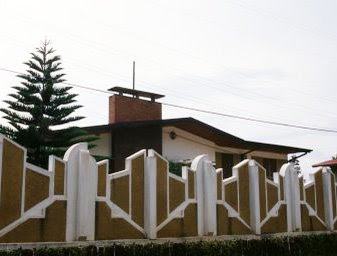 Many of the houses' facades and outer walls, both in the capital and the countryside, are decorated with geometic shapes. 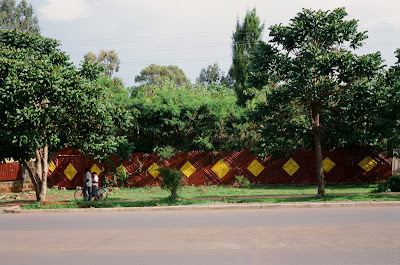 I spotted this diamond-patterned wall in the town of Bahir Dar on Lake Tana. The angular aesthetic didn't always appeal to me, but it was interesting to see it coming through again and again. 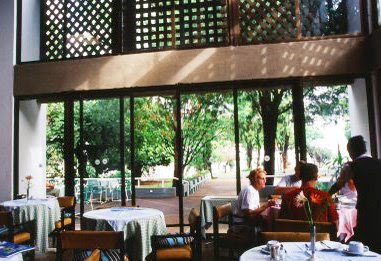 In Bahir Dar, I stayed at the Tana Hotel, which had seen better days but the airy architecture and mod decor in the rooms still worked for me. Thanks for reliving this fascinating journey with me. Next week, it will be a 180-degree turn back to the gleaming metropolis of NYC design! 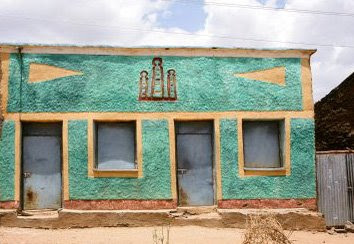 Thanks for the pictures of Ethiopia... I am an interior decorator, and I found your blog just this week. I have 2 children from Ethiopia, so your post was very special!